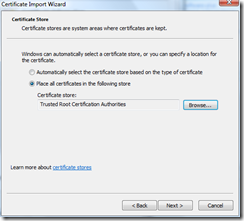 A self-signed certificate is signed by its own creator. 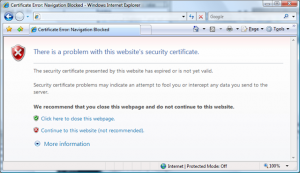 Because of this, the certificate is not trusted by web browsers. Users can continue, but have to bypass a security message. You can fix this by trusting your own certificate. Visit your own web site in Internet Explorer.